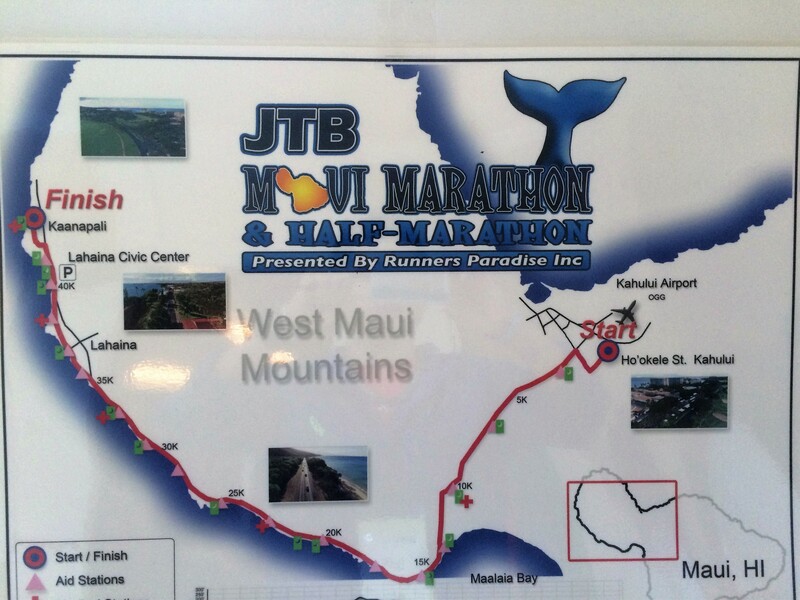 Maui Marathon 2016 was taken place on 9/18/2016. 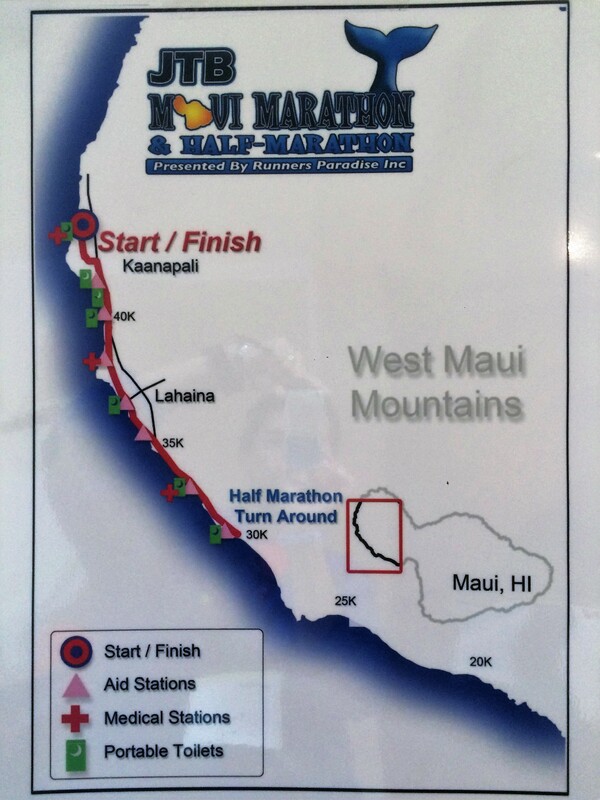 This is the 46th Maui Marathon, which is the most historical marathon in the state of Hawaii. About 2,700 runners attended Marathon, Half Marathon, 10K, 5k, and 1 mile race. Here are the course information that you want to see before the Race. For the full marathoner, you guys need to take a shuttle bus to the start point. As you see in the map above, you will start more inland of island and coming down to the ocean. Then, you will make a right turn and go up to the finish line, where all the runners with other races will finish. Start at 5 am, the same time as Half Marathon. The start and finish lines are the same. So you start at the top of the map from Westin Maui Resort and Spa in Kaanapali and go down along along the shore and beach line through Lahain as well. And at the half way point, you make a u-turn and go back to where it started from. The starting time is 5am, the same time as Full Marathon. 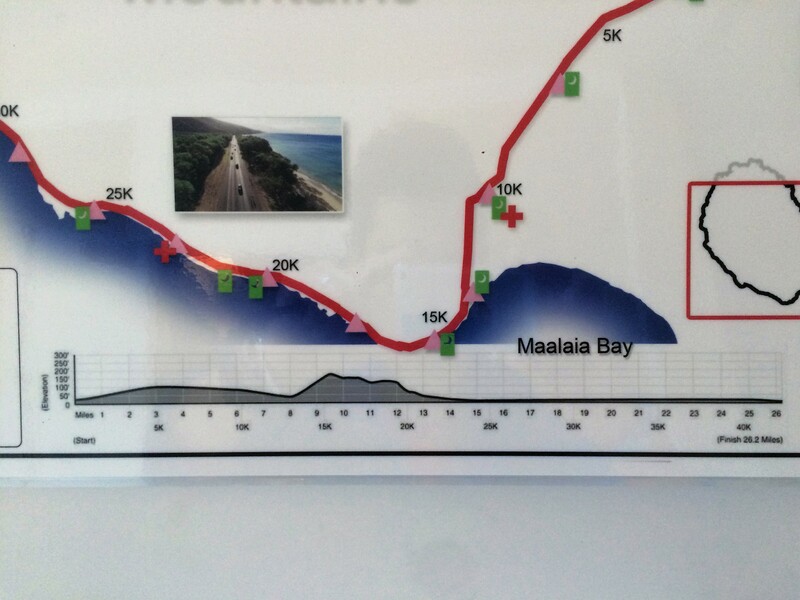 Here are the Elevation information for Full Marathon. More up and down for Full marathoner than the half. We gotta watch out our pace accordingly. Overall, it was such a beautiful course that you would realize after the sun rose up. For the Half Marathoner, it was a nice cool running. But for the Full Marathoner, it became hotter starting 715am or so, and much hotter after that. So I would highly suggest to hydrate yourself well frequently. I cannot deny that the stunning view will keep runners to come back to this race again and again every year. In fact, so many repeaters on this marathon. It tells by itself.